Hey there crafty friends it's Monday so that means another edition of 3 ways with. 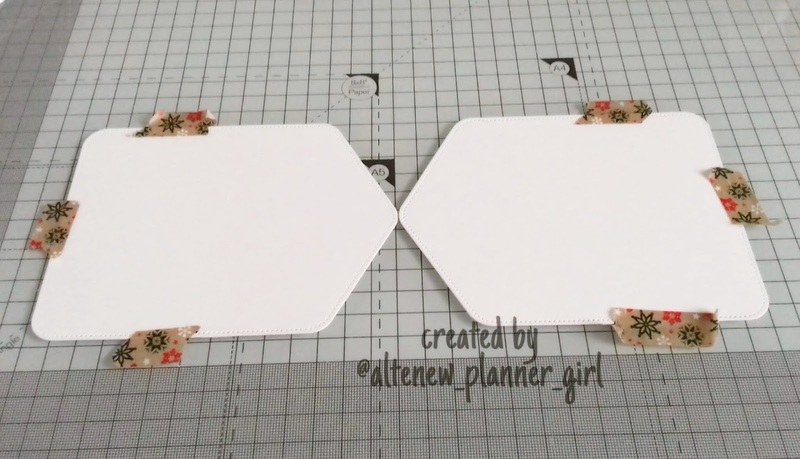 Today I am focusing on the Pocket banner die from Altenew. 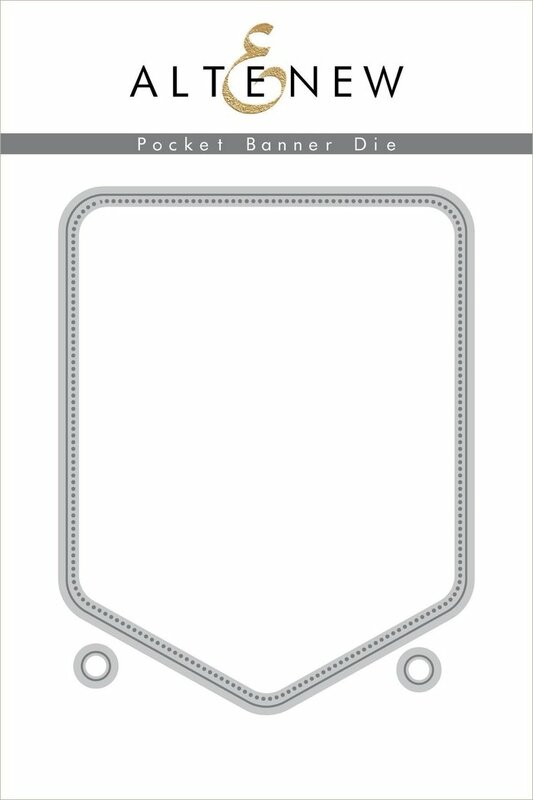 The die has a stitched outline and comes with 2 circle dies which can be used to cut holes so that you can make bunting or hung projects. 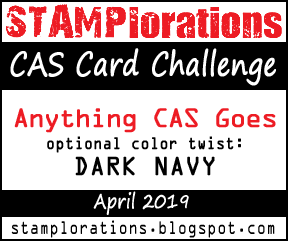 As with every edition of 3 ways with, I will be sharing 3 projects and linking the products used below. 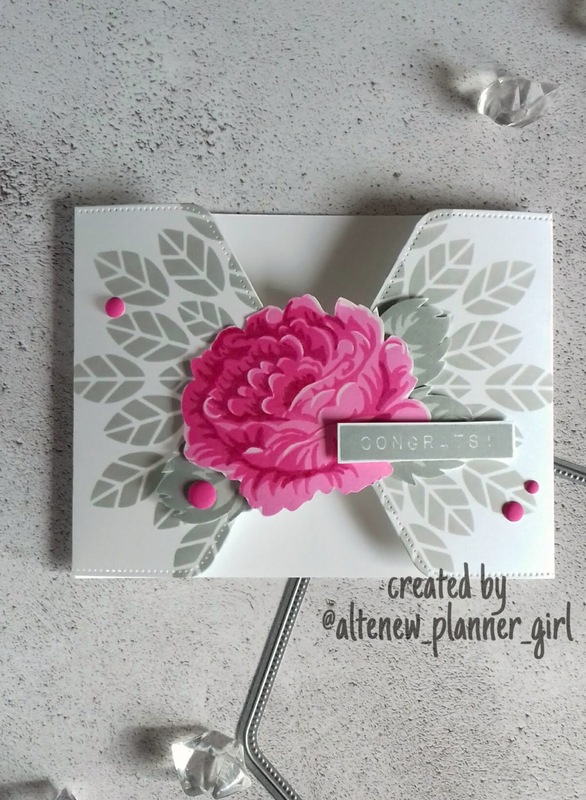 This car uses the pocket banner die as an overlay panel, it's a fun way to add a different look and feel to your cards. I like to add a solid colour behind a white overlay as it makes your images pop. I used the Floral art stamp set along with Gentleman grey and Cherry blossom crisp inks. 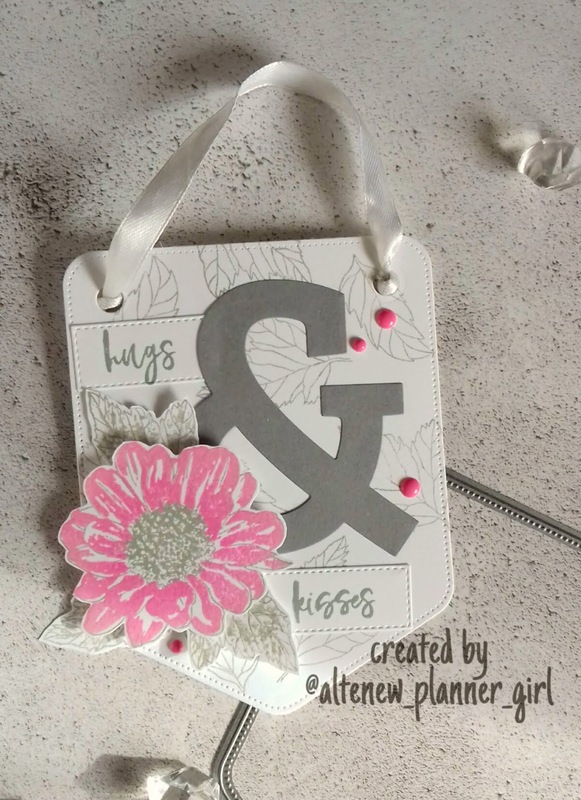 The sentiment is from Label love stamp set. I also added a few Enamel dot to embellish. Next up is a little home decor project, I used the dies to cut the banner with the holes for some ribbon to go through. 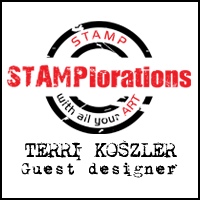 The background was stamped using a leaf from the Spring Daisy stamp set. I die cut the Mega ampersand die in gray card and stamped and die cut the words Hugs and Kisses using the Inked Rose stamp set. 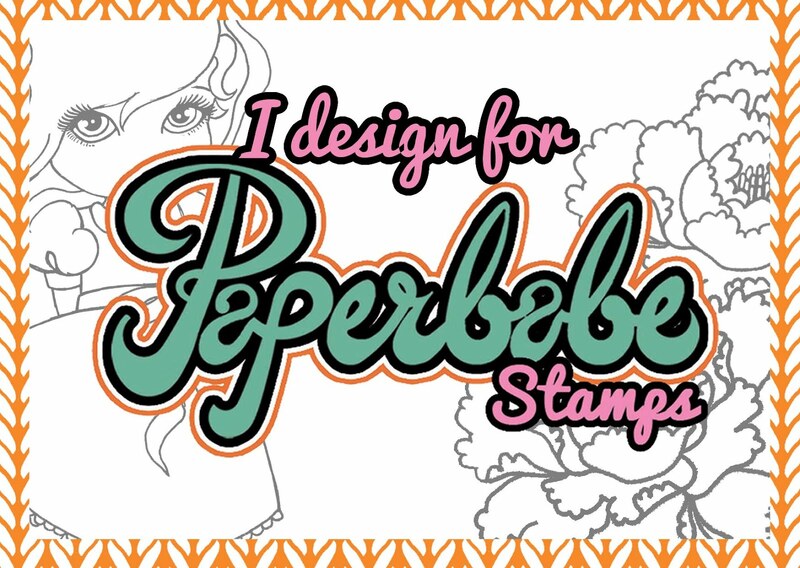 The flower is also from the Spring Daisy set and was stamped in Cherry Blossom inks. My final project is a gate fold card using 2 pocket banners. Below I've added some pictures to show how I created this project. 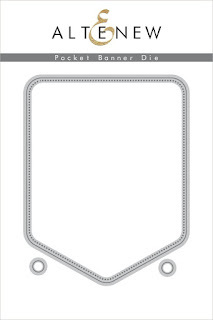 The pocket banners have been folded around a card panel to create two doors that open. 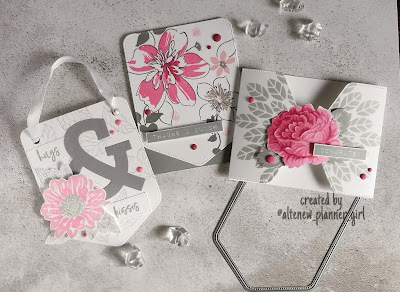 The flower is from Just for you stamp set, it acts as a closure using a re positional sticky dot. I added a label sentiment and enamel dots to finish the card. 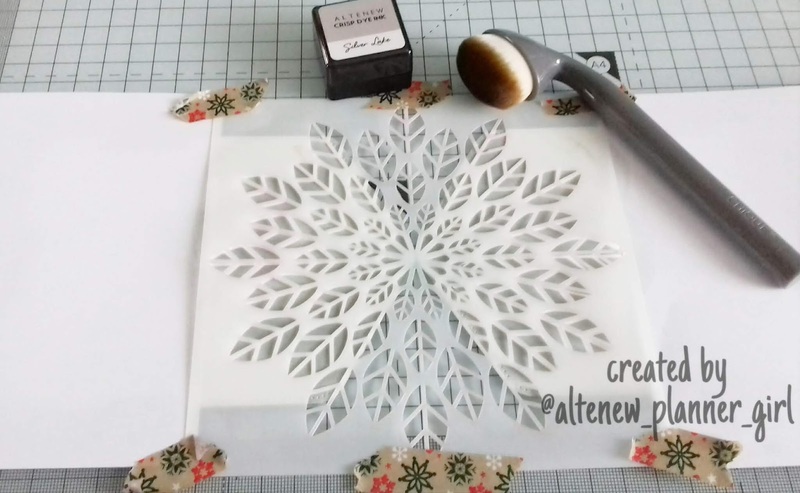 I then added the leaf burst stencil centrally and inked through it, this means that the pattern will flow across both of the die cut pieces. I then scored the banners at 2.5 inches and folded them. 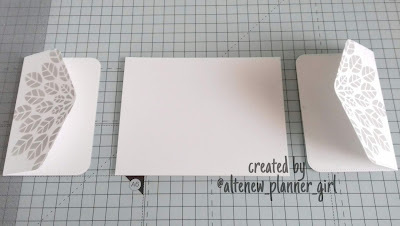 I then added double sided tape to the back of a card panel and adhered them in place. 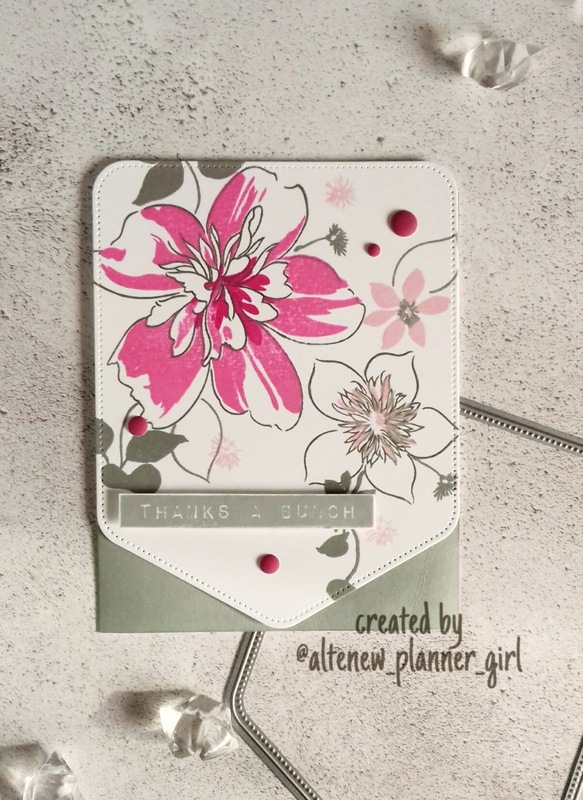 Thank you for stopping by today, I hope I have inspired you to look at your crafty stash in a new way. Love this set of items. I especially like the gatefold card. Amazing use of a die. 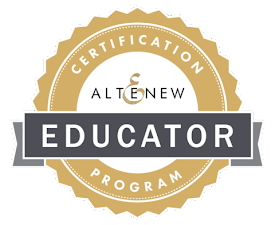 Of course I love all things Altenew!